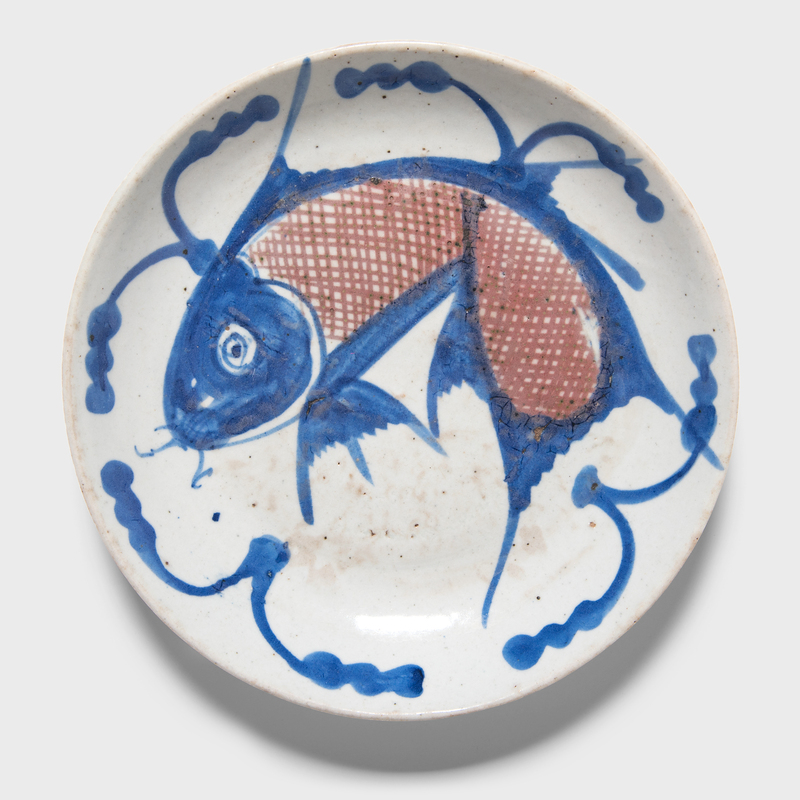 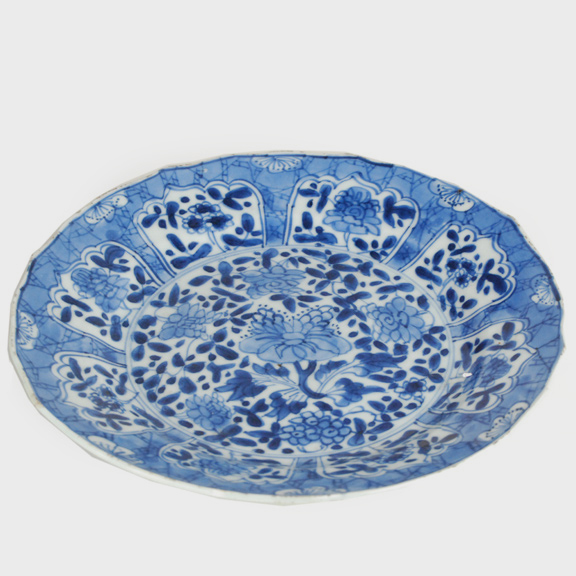 The fish on this hand-painted 19th-century provincial plate represents a blessing for wealth. 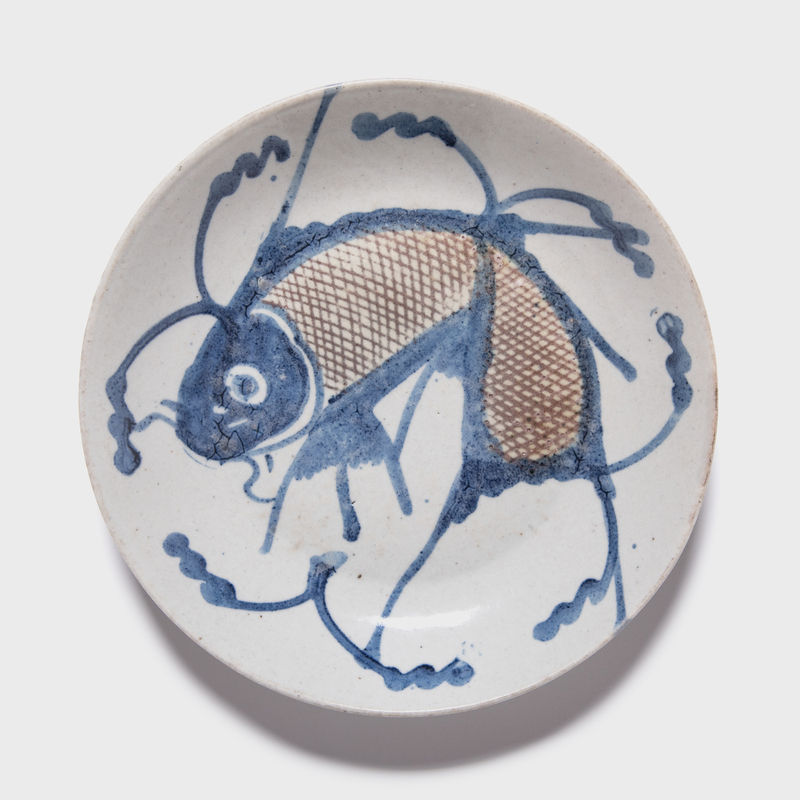 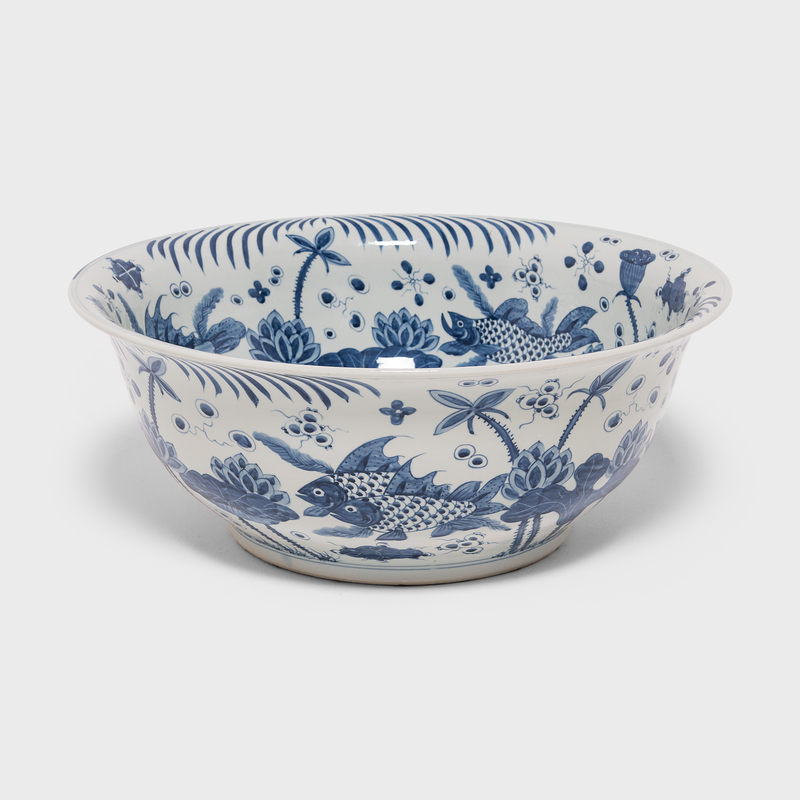 Chinese symbols take on added meaning and nuance when combined with other motifs. 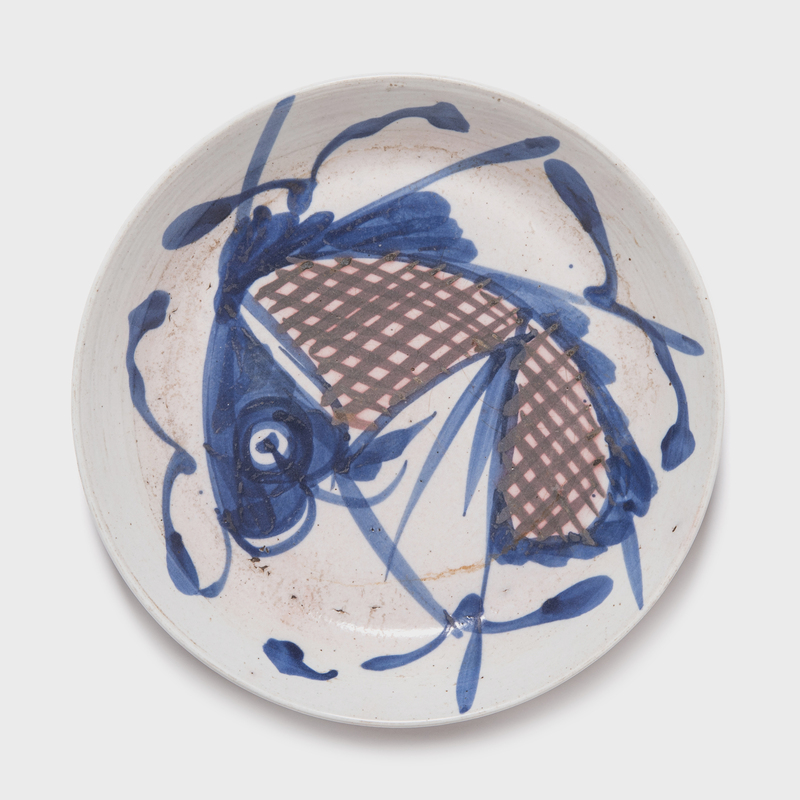 The decorative blue lines surrounding the fish suggest water, which together would offer the wish "to be as content as a fish in water."